Yakuza Beware Police are Cracking Down on You! Metropolitan Police Department investigators said last Jan. 28 they found that all seven permanent street vendor stalls operating in Yoyogi Park under the occupancy permits issued by the metropolitan government were run by individuals connected to the Kyokuto-kai, a government-designated crime syndicate. Metropolitan government officials plan to interview all the stall operators with an eye toward possible revocation of the permits. It is extremely rare for such occupancy permits to be rescinded because of yakuza connections, metropolitan government officials said. 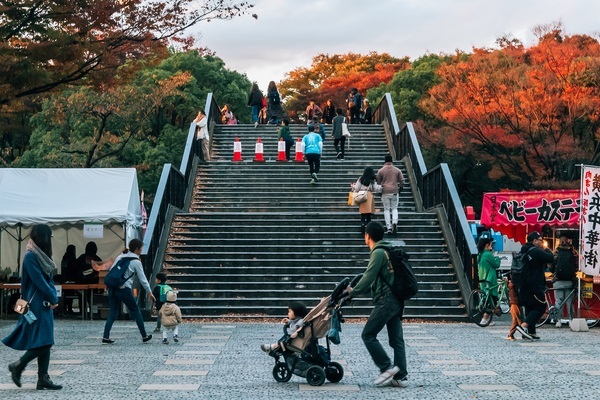 Yoyogi Park in Tokyo’s Shibuya Ward is a candidate site for public viewing and other events during the Summer Olympic and Paralympic Games next year, according to metropolitan government officials. The MPD believes that proceeds from vendor stalls represent a key source of income for the crime syndicate. It decided to work with the metropolitan government to take measures at the park ahead of the sports event. Four stalls standing side by side near an open-air stage carried price cards advertising fried noodles for 600 yen ($5.48) per serving, a dish of frankfurters for 400 yen and canned beer chilled in icy water for 500 yen. The metropolitan government, which owns the park, introduced a licensing system for street vendors there in 2007. About 20 individuals have obtained occupancy permits, but their numbers have dropped from year to year, partly due to their advancing ages. The investigators said all the proceeds from the four stalls that remain in business have been handed to the company operated by the senior gangster. The stall operators receive part of the sum in the name of wages.